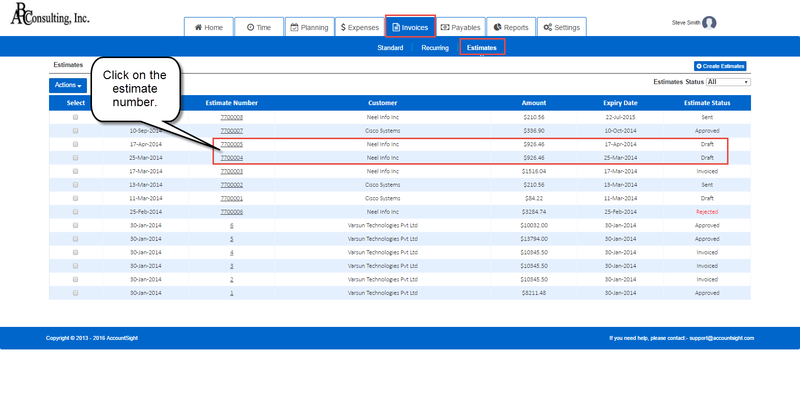 2] Within the Invoices tab, go to the Estimates sub tab. 3] Click on the Estimate Number of the particular draft estimate that is yet to be delivered and that you want to send to the prospect. 4] Click on Get PDF to download a PDF version of the estimate. 5] Click on Print Estimate to print a copy of the estimate. 6] Click on the Action button. A drop-down bow will appear with a number of operations to choose from. 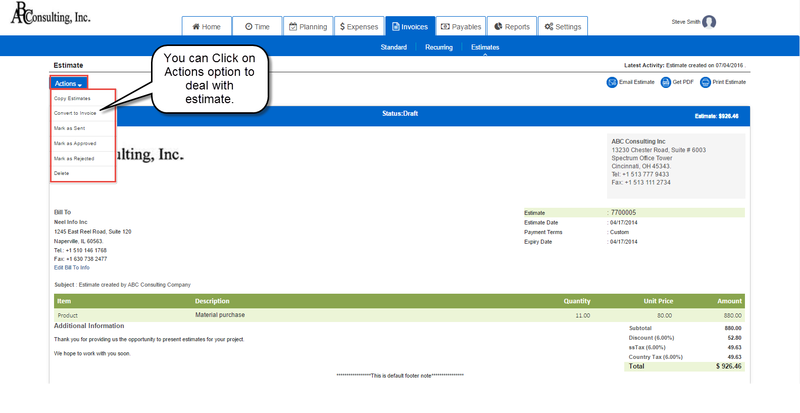 You can Copy Estimates, Convert to Invoice, Mark as Sent, Approved or Rejected and also Delete the estimate.